Istanbul (AFP) - Turkish warplanes Tuesday carried out a new wave of air strikes against Kurdish militants in the southeast of the country in retaliation for a day of bloody attacks that left six members of the security forces dead. 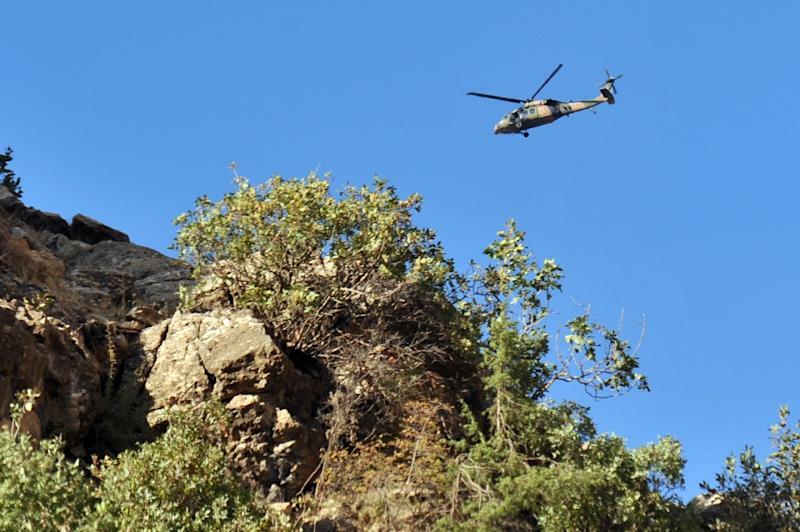 The military bombed 17 targets of the outlawed Kurdistan Workers' Party (PKK) in the southeastern Hakkari province, destroying them all, the army said in a statement. The new wave of strikes carried out overnight came after one of the bloodiest days of attacks in the country since Turkey launched a relentless bombing campaign against PKK targets late last month. Ankara is pressing a two-pronged "anti-terror" offensive against Islamic State (IS) jihadists in Syria and PKK militants in northern Iraq and southeast Turkey following a wave of attacks in the country. But, so far, the air strikes have overwhelmingly concentrated on the separatist Kurdish rebels who have responded by tearing up a 2013 ceasefire and waging a bloody campaign against the security forces. 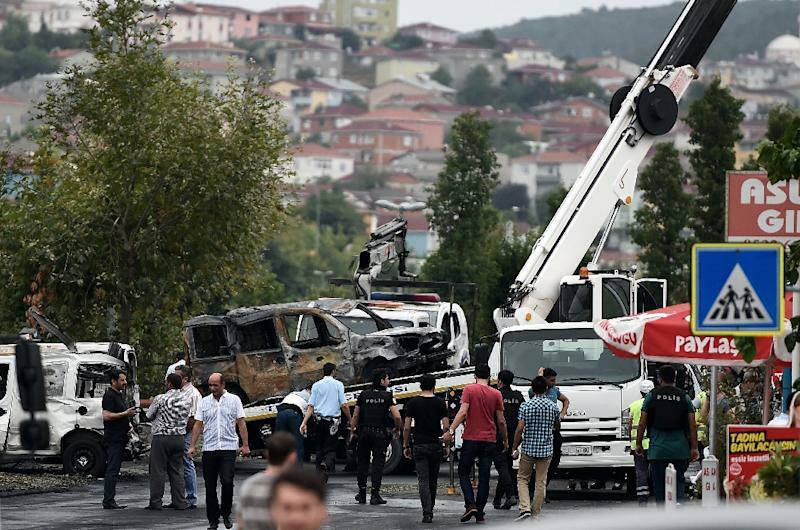 On Monday, four Turkish police officers were killed in a roadside bombing in the southeastern Sirnak province while a Turkish soldier was killed in a rocket attack on a military helicopter. Meanwhile, in Istanbul a senior police officer in charge of the city's bomb disposal department was killed in clashes that followed a pre-dawn suicide bombing. While the government blamed the PKK for that attack, it was also claimed by a small leftist group, the People's Defence Units (HSB), on its Twitter feed. The outlawed Marxist Revolutionary People's Liberation Party–Front (DHKP-C) -- which the government has on occasion linked to the PKK -- claimed another attack in Istanbul, a shooting on the US consulate, which caused no casualties. In new violence overnight, a Turkish soldier was killed in a gun attack on a military post in Sirnak, also blamed on the PKK. According to an AFP toll, 29 members of the security forces have been killed in violence linked to the PKK since the current crisis began. The European Union and United States, which like Turkey list the PKK as a terror group, have backed Ankara's right to strike against the militants but also indicated a degree of concern about the magnitude of the campaign. "Our expectation is that Turkey is going to take the necessary steps to prevent any civilian casualties and to act in accordance with international humanitarian law," US State Department Spokesman John Kirby said Monday. The state-run Anatolia news agency said over the weekend that so far 390 "terrorists" have been killed in the campaign against the PKK. 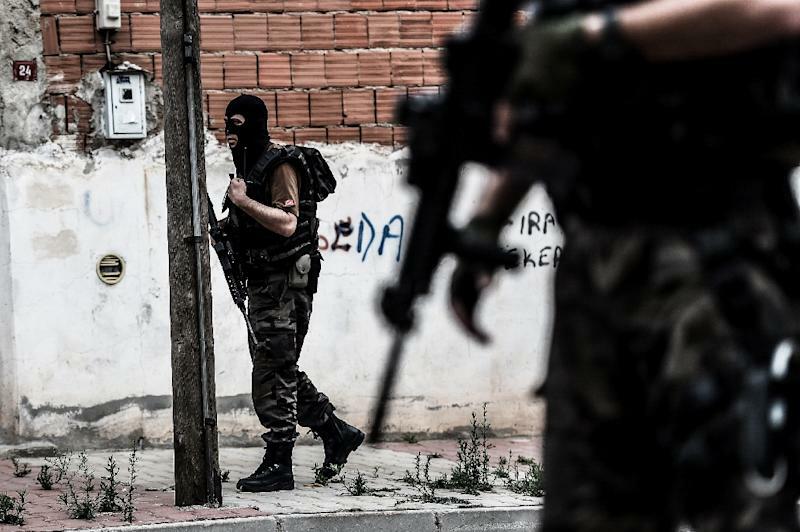 The Marxist-inspired PKK has waged a three decade insurgency since 1984 for greater autonomy for Turkey's Kurds that has left tens of thousands dead. The Kurds are by far Turkey's biggest ethnic minority and are often see as the world's largest stateless people, spread between Turkey, Iraq, Iran and Syria. The government has also vowed to begin strikes against IS jihadists in Syria alongside US forces who have now started arriving to use the well-located Incirlik air base in southern Turkey. Washington has long been pushing its NATO ally Turkey to step up the fight against IS, which Ankara had been reluctant to do. But Turkish officials have vowed that a wider fight against the IS jihadists -- themselves sworn enemies of the PKK -- will start in the coming days. Turkey still has no new government following June 7 legislative elections, where the party of President Recep Tayyip Erdogan lost its overall majority. Prime Minister Ahmet Davutoglu of the ruling Justice and Development Party (AKP) and main opposition Republican People's Party (CHP) leader Kemal Kilicdaroglu held a four-hour meeting Monday on a coalition. Negotiators said afterwards that the meeting had been positive and a new meeting, which could prove decisive, is expected later in the week. Meanwhile, a key visit to Ankara by Iranian Foreign Minister Mohammad Javad Zarif that was expected to discuss the Syria crisis was postponed at the last minute, a Turkish official said. No reason was given for the change of plan.